With more than 76% of Australians admitting they want to be healthier, it’s time to take action and reclaim our motivation for healthy, fit Aussie bodies. Australia’s leading active nutrition brand, Aussie Bodies, in association with Women’s Health and Men’s Health magazines have joined forces to find role models to front their new campaign and empower Australians to get active and live a healthier lifestyle. 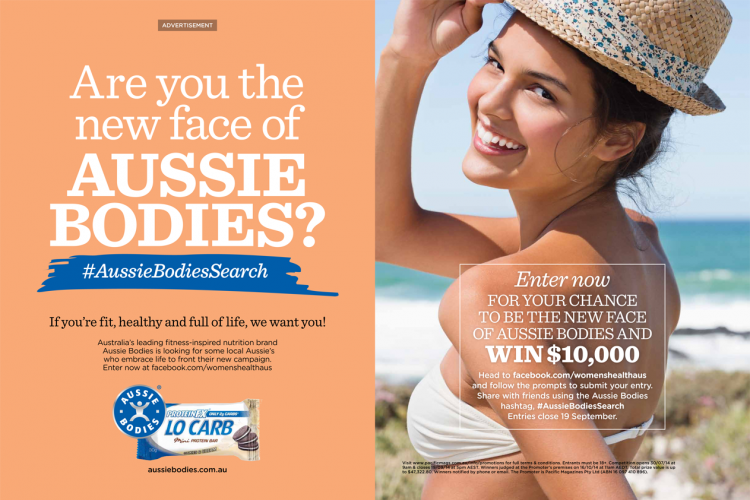 The Search for the New Aussie Bodies campaign will run throughout August and September, combining multiple consumer touch points including print, online and social media executions. The winners will each take home $10,000 in cash as part of a 12 month ambassador contract with Aussie Bodies. Aussie Bodies Senior Brand Manager, Aimee Cutajar says, The Search for the new Aussie Bodies campaign aims to celebrate those who are committed to their physical health and reflect the real Aussie ‘get outdoors and have-a-go’ attitude. It is also designed to inspire Australians to be healthier and snack smart – we all need a boost and something to nibble on between meals from time to time, but it is important to make sure our snacks are on the right side of healthy”. 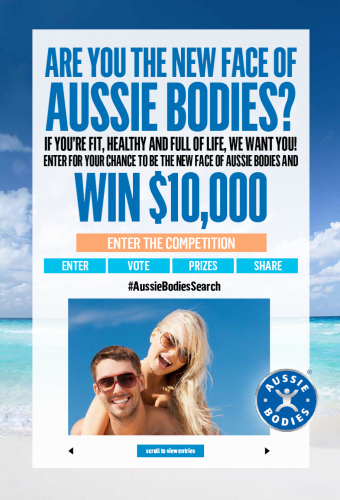 Aussie Bodies will promote the Search for New Aussie Bodies across its own media channels including aussiebodies.com.au, instore activations, eDMs, Facebook, Instagram and Twitter.